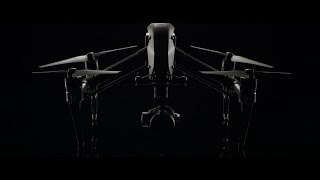 The first filmmaking drone in the world to integrate an HD video transmission system, 360° rotating gimbal, and a 4K camera, as well as the simplicity of app control. 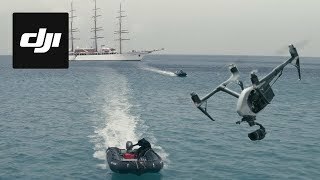 The launches of the Zenmuse X5 and X5R cameras further cemented the Inspire as a critical tool for filmmakers around the globe. Image quality, power, and intelligence to meet the needs of professional filmmakers and enterprizes around the globe. 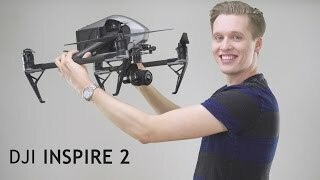 The Inspire 2 takes everything that was good about the Inspire 1 and improves it. An all-new image processing system records at up to 5.2K in CinemaDNG RAW, Apple ProRes and more. It goes from 0 to 50mph (80kph) in just 5 seconds and hits a maximum speed of 58mph (94kph) and has a max descent speed of 9m/sfor unheard of speed and agility in an aircraft this size. 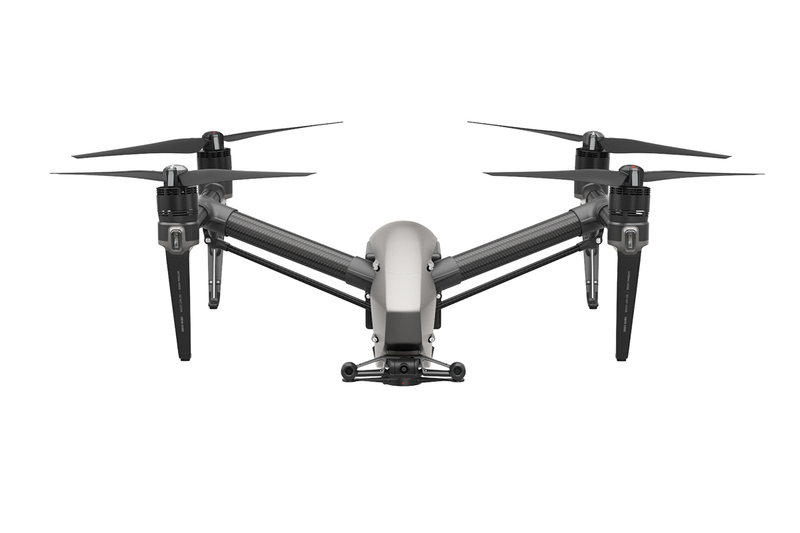 A dual battery system prolongs the flight time to a maximum of 27 minutes (with an X4S), while self-heating technology allows it to fly even in low temperatures. 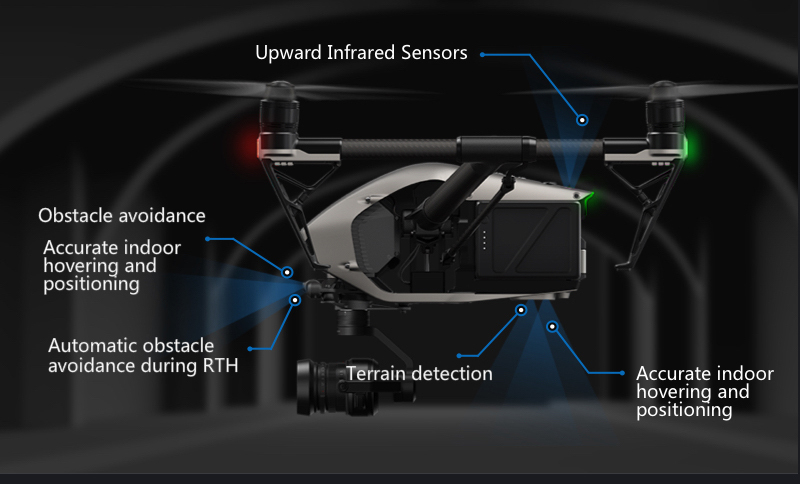 FlightAutonomy has been revised and developed specifically for the Inspire 2, providing two directions of obstacle avoidance and sensor redundancy. 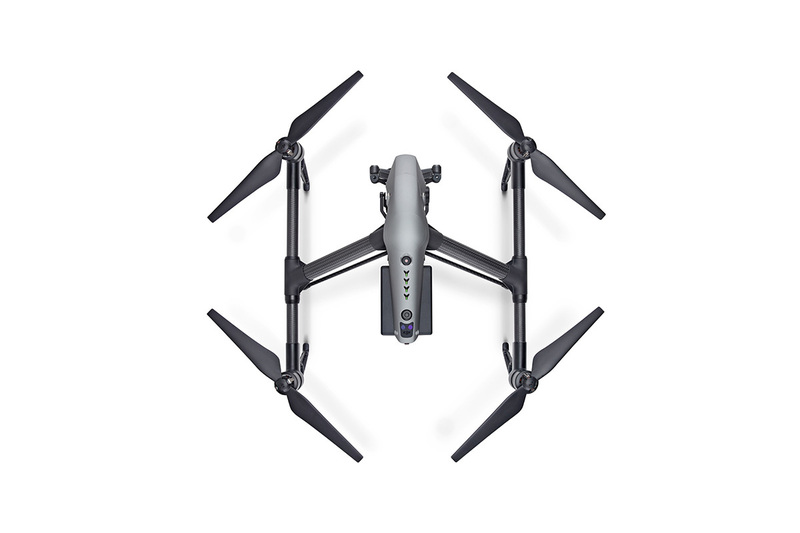 Increased intelligence adds multiple intelligent flight modes, including Spotlight Pro, giving even single pilots the ability to create complex, dramatic shots. 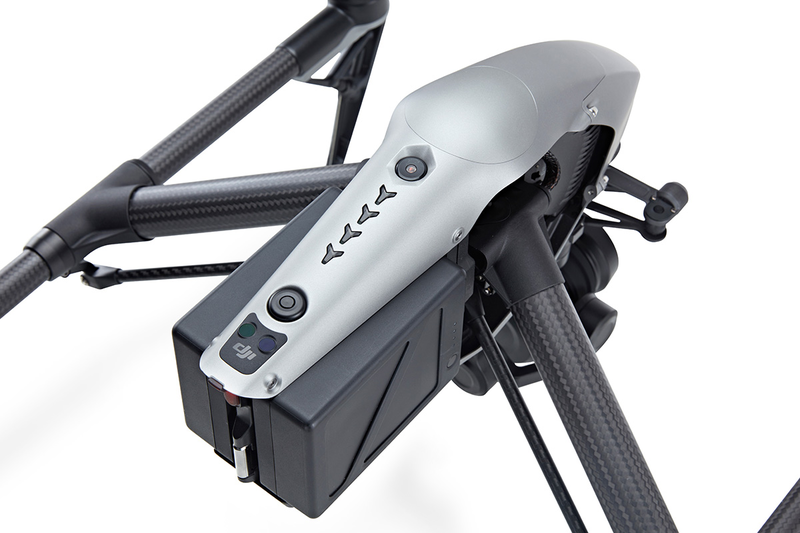 An upgraded video transmission system is now capable of dual signal frequency and dual channel, streaming video from an onboard FPV camera and the main camera simultaneously, for better pilot and camera operator collaboration. 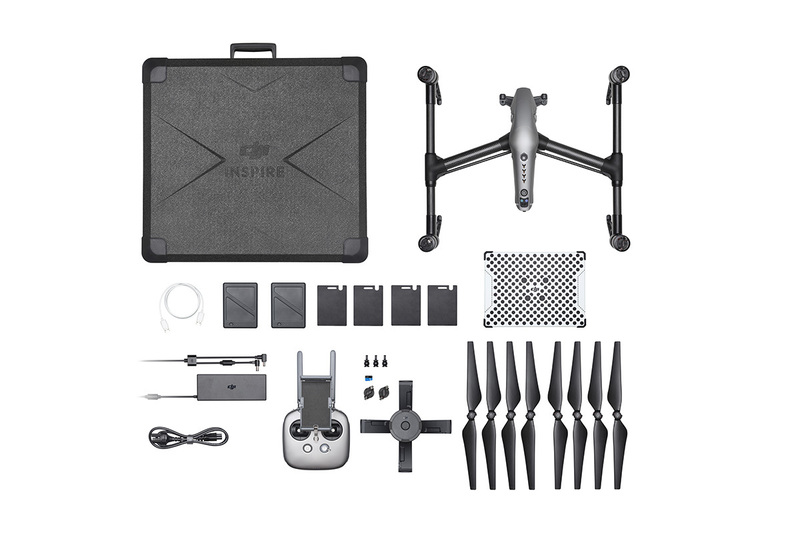 Integrated into the Inspire 2 is the brand new CineCore 2.0 image processing system, capable of recording 5.2K videos in CinemaDNG, Apple ProRes and more. 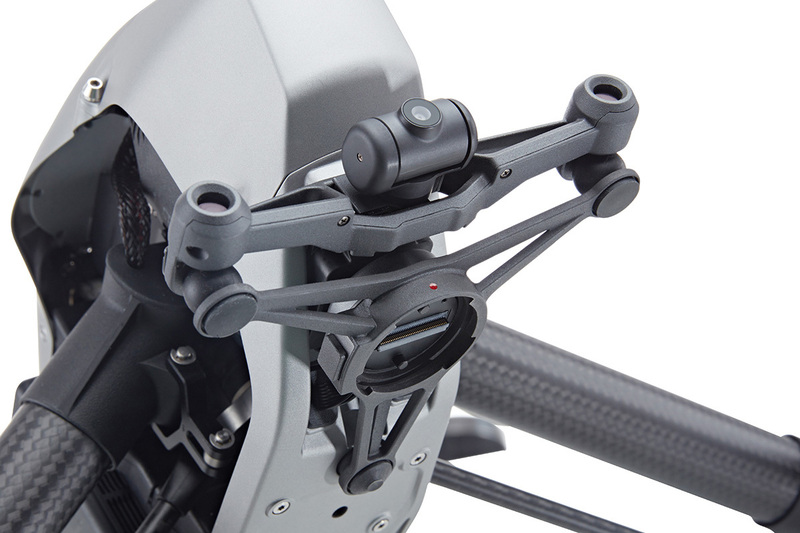 CineCore 2.0 is built into the aircraft nose and works with any camera connected through the dedicated gimbal port. 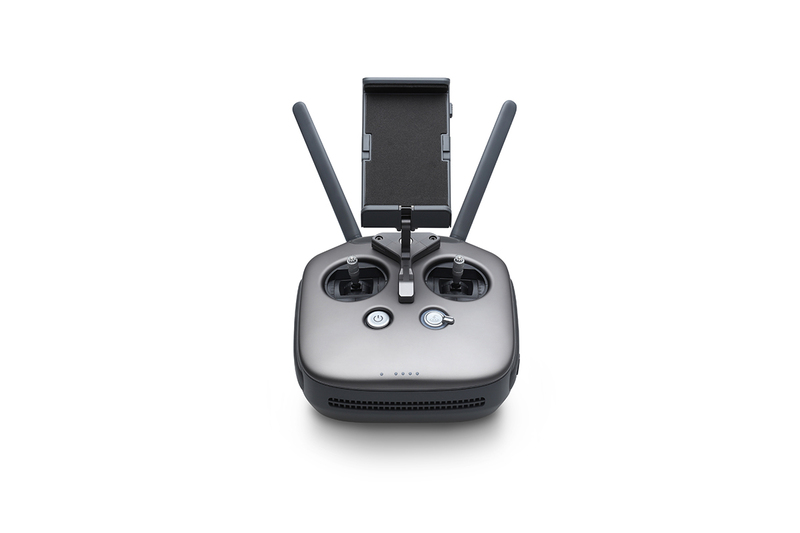 In addition to Spotlight Pro, a range of other intelligent flight and shooting modes are available. Obstacle avoidance is optimized when using Point of Interest and Waypoint modes, making complex shots simple and repeatable. Also available are QuickSpin, TapFly and ActiveTrack, to simplify challenging shots. Video Format: CinemaDNG and Apple ProRes 5.2K video support, H.265 and H.264 video codec support, 4K video at 100Mbps.